Aruba is an island located in the Caribbean sea, that is part of the Kingdom of the Netherlands. Aruba is a prosperous country with approximately 110,000 residents. 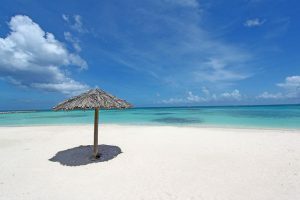 Aruba’s main industry is tourism, because of its warm climate and beautiful beaches. We have a low unemployment rate and the per capita income is one of the highest of the Caribbean (approx. US$ 24,087). The currency in Aruba is the Aruban florin, but dollars are widely accepted and used as well.It is located north of the coast of Venezuela and has a surface of 180 square kilometers. The average temperature is 28 degrees Celsius. Dutch and Papiamento are the 2 official languages. But because of the mix of population groups English and Spanish are also widely spoken. Therefore many Arubans dominate no less than 4 languages, which is quite unique. Since 2001, Aruba has a national health insurance (“AZV”) for its entire population. For more information about our island, please click here for the official website of Aruba.